BlogAcousticsHow Does Sound Masking Work? Have you ever increased the volume of your music or television program to “drown out” your noisy neighbors? 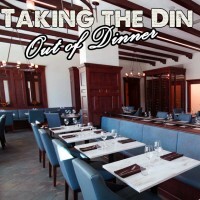 Or have you noticed how difﬁcult it is to hear a conversation while eating in a busy restaurant? In both situations, sound from the “masker” (your music/television, people talking in the restaurant) is changing the threshold at which the “signal” (noisy neighbors, conversation) is perceptible. In other words, some sounds are masking – or covering over – the other sounds. Sound masking can be both detrimental and helpful. In situations where sound masking is unwanted, such as environments where speech intelligibility is critical, noise control techniques can be implemented to mitigate the excessive masking sound. Other times, “ﬁghting sound with sound” is an effective solution in acoustical design. For example, in settings where conﬁdentiality is key (healthcare, HIPAA speech privacy, human resources, counseling, private ofﬁces), low background noise can be problematic, resulting in reduced speech privacy. In open ofﬁce settings (especially call centers), the noise produced by coworkers can be very distracting to someone that is trying to concentrate. In these situations, a carefully designed sound masking system can be implemented to produce a comfortable level of non-distracting background noise that serves to increase speech privacy and diminish distractions. In theory, anything that makes noise, such as HVAC equipment, could be used to mask sound. A dedicated sound masking system has the advantage of providing an adjustable sound level and sound spectrum that can be tailored to the environment. Ideally, sound masking systems are adjusted to be loud enough to provide privacy AND to be quiet enough to be unnoticed by occupants. However, the ideal sound masking volume can change throughout the day, depending on how much ambient noise is present in the environment. Some sound masking systems implement timers to adjust the masking sound level based on the anticipated ambient sound level at different times of the day. Recent advances in sound masking technology include the ability of sound masking systems to measure the ambient sound level in real time and automatically adjust the sound masking volume to adapt to current needs. Using this adaptive technique, the sound masking system can maintain speech privacy while also increasing the acoustical comfort of occupants over a variety of different background sound levels. Sometimes, people have a hard time understanding why an acoustical consultant would ever recommend raising the background sound for, well, anything. 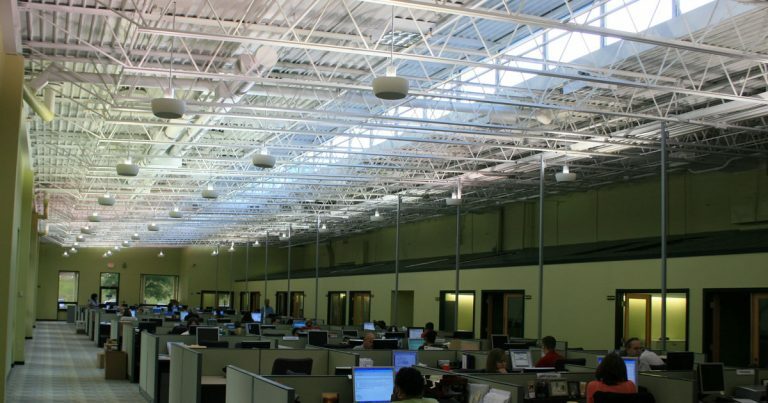 The stereotypical idea is that acoustical consultants want to make everything quieter. But as engineers, our challenge is to optimize the soundscape for an intended purpose. Sometimes that means increasing background sound levels. The fact is, a good sound masking system can improve patient rest in a hospital facility, or it can reduce distractions in a noisy work environment. 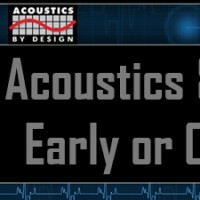 At Acoustics By Design, we develop custom acoustical solutions designed to meet the needs of our clients. We can make things quieter or louder—it’s your choice. Peter Allen, PE, INCE. Bd.Cert. is the Senior Acoustical Engineer in Portland, Oregon, with a Master of Engineering degree in Acoustics from Pennsylvania State University, and 20 years of experience. Along with his Professional Engineer's license in acoustics (PE) from the State of Oregon, Peter was awarded Board Certification by the Institute of Noise Control Engineering (INCE. Bd.Cert.). Peter is a nationally recognized expert in acoustics and vibration. Peter specializes in data acquisition, vibration-analysis, noise control, and environmental testing. Peter is also experienced in using advanced techniques including experimental modal analysis and acoustic holography to help solve problems for clients in multiple industries. In his personal time, Peter enjoys climbing, yoga, riding his motorcycle, and SCUBA diving.